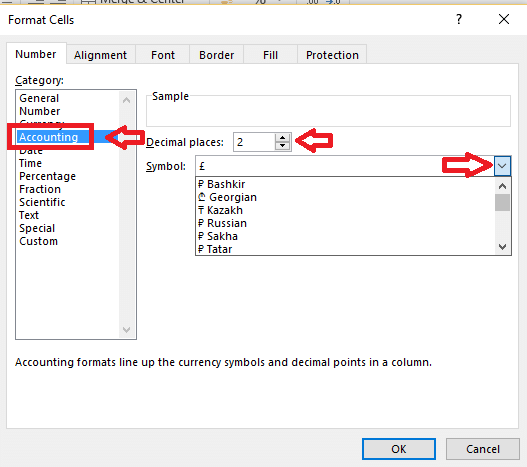 Display Number as Currency in Excel:- Microsoft Office just gets better with every new edition. Excel 2016 also has some brilliant features that you shouldn’t miss. There are new chart representations such as funnel and waterfall diagrams. The latest features added this year include enhanced auto complete and more functions such as IF, SWITCH etc. 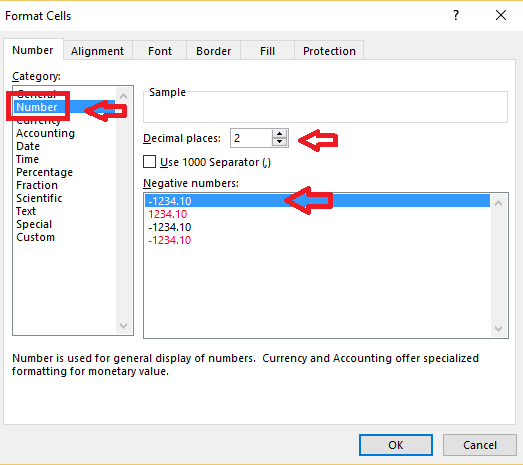 This post talks about displaying a number as currency in the latest Excel. 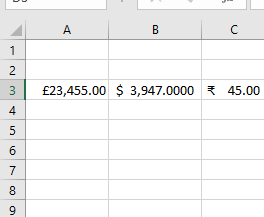 Select the cell in which you want make changes in. In the menu, select Home tab. You will see options like Font, Alignment, Number etc. Click on the arrow at the bottom-right corner of Number. A window with a few number formatting options appear. Click on Accounting. Then, slide the options corresponding to Symbol. You have many options to choose from. Choose the symbol you wish to see before the number. You also have another option to choose the number of decimal places after the number. Increase or decrease it using the Decimal places button. If you wish to show negative numbers, choose the option Number. Then there are four other options to choose from. Select whichever one you prefer to show negative number. You can show negative number in red or with negative sign or with both. The image given below shows numbers represented in various currency formats. And this image that follows shows the effect of negative symbols on numbers. You can also apply these effects on multiple cells. For this, simply select all the cells and apply the same steps as above. Whenever you are typing an important document that needs a lot of currency symbols, this feature can be made use of. This is way easier than typing the symbol from keyboard. Also it provides many more choices than mere keyboard inputs. 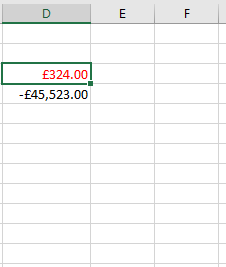 Similarly for showing deficits or losses, make use of the negative number option. So the next time around, don’t be hesitant to try these out!